Like your kitchen, your bathroom needs regular renovations to ensure it’s looking and functioning at its best. When it comes time for a makeover, the professionals at Bath Fitter provide high-quality bathroom remodeling services that will transform your space. With locations in Dayton, Cincinnati, and Lima, OH, Ft. Wayne, IN, and Lexington, KY, these experts provide the superior services you need. Stains & Cracks: If your bathroom walls are riddled with cracks, stains, and inconsistent grout, it’s probably time for a change. Aside from being unsightly, these issues can lead to mold, leaks, and other damage. Leaky Faucets: If you notice an annoying dripping noise, it’s time for a remodel. Be aware that some leaks are less visible and may show up in the form of costly water bills. To cut down on unnecessary costs, have a professional inspect and address any potential issues. Concerns About Stepping Over The Tub: We all deal with changes in lifestyle. Whether these changes are based on what we want or what we need, safety and convenience can create major questions in the bathroom. 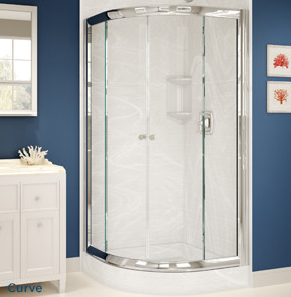 A walk in shower could provide the answers you need! Outdated & Unattractive: You spend time in your bathroom each day, so like any other room in your home, it should look its best. If your bath or shower is looking a little grim or outdated, a remodel may be in order. Whether you wish to update your tub or bathroom walls, a reputable company like Bath Fitter will make the room comfortable and beautiful. When your bathroom needs an update, head to the experts at Bath Fitter. With locations in Ohio, Indiana, and Kentucky, they provide the service your space needs to work and look its very best. For more information, call these bathroom remodeling pros today at (800) 721-8427 or visit their website.